A practitioner whose client’s stock is not publicly traded is often requested to compile or review financial statements. When an accountant is involved in the compilation of a client’s financial statements, he or she is generally required to issue a report at the conclusion of the engagement. Compilation is one types of engagements that practitioners face daily. This post will explain these services and the reporting practices associated with them, in addition to special reports generally associated with audit engagements. Engagements involving prospective financial statements and attestation services, should be viewed by the practitioner as an important area for practice expansion. What Is A Compilation Of Financial Statements? A compilation of financial statements is limited to presenting in the form of financial statements information that is the representation of management or owners. A key characteristic of a compilation is that no opinion or any other form of assurance is expressed on the fairness of the presentation of the financial statements. Accordingly, the accountant is not required to make inquiries or perform procedures to verify or review management—furnished information. How Is A Compilation [Of Financial Statement] Conducted? Inasmuch as a compilation engagement does not result in the expression of any assurance, the procedures to be performed are quite limited. Step 1. If desired, obtain an engagement letter. Step 2. Research the accounting principles and practices applicable to the client’s industry. Step 3. Obtain a general understanding of the flow and nature of the transactions underlying the client’s financial records. Step 4. Obtain a general understanding of the client’s accounting records. Step 5. Inquire about the stated qualifications of the client’s accounting personnel. Step 6. Determine the basis of accounting used—GAAP or another comprehensive basis of accounting (e.g., cash basis, modified cash basis, income tax basis, etc.). Step 7. 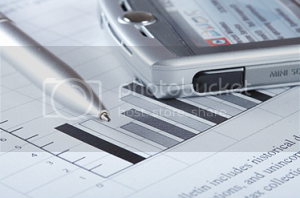 Determine the necessity of performing the following accounting services: Adjustment of client books. Consultation with appropriate personnel regarding accounting-related matters Bookkeeping services when the client’s manual or automated bookkeeping does not produce financial statements as the end result. Step 8. Although it is not required to verify or corroborate representations made by management and personnel, obtain satisfaction as to representations that appear incorrect, incomplete, or otherwise unsatisfactory. Step 9. When financial statements depart from the basis of accounting in use, and the client refuses to make the necessary adjustments, modify the accountant’s report to disclose this fact. Step 10. Read the financial statements to confirm that the statements are free from obvious material errors. (EXAMPLES: Mathematical mistakes, omission of relevant disclosures, and departures from relevant accounting principles). Step 11. If a higher level of service was performed (e.g., a review or an audit), issue the report that relates to the highest level of service performed. Step 12. If the accountant is not independent with respect to the client, indicate this fact, but not the reasons therefore, in the compilation report. What Reports May Be Issued On A Compilation Engagement? The definition of a compilation, stating that a compilation is limited to presenting in the form of financial statements information that is the representation of management (owners). A statement that the financial statements have not been subjected to an audit or a review and, accordingly, no opinion or any other form of assurance on them is provided. Each page of the financial statements must be labeled “See accountant’s compilation report”. If desired, expand the label to include “and the Notes to the Financial Statements”. Since the notes are an integral part of the financial statements. In order to avoid misinterpretation, mark each page of the financial statements “unaudited”. I (We) have compiled the accompanying balance sheet of Debit Company as of (at) December 31, 20XX, and the related statements of income, retained earnings, and cash flows for the year then ended, in accordance with Statements on Standards for Accounting and Review Services issued by the American Institute of Certified Public Accountants. A compilation is limited to presenting in the form of financial statements information that is the representation of management (owners). I (We) have not audited or reviewed the accompanying financial statements and, accordingly, do not express an opinion or any other form of assurance on them. It is permissible to compile and report on only one of the financial statements normally included in the complete set. When Should The Standard Compilation Report Be Modified? Omission of substantially all disclosures. When financial statements which purport to be in conformity with generally accepted accounting principles (or another comprehensive basis of accounting) lack the necessary disclosures (e.g., notes to the financial statements, parenthetical comments on the face of the statements, etc. ), the accountant should add the following paragraph immediately after the standard two-paragraph report: “Management has elected to omit substantially all of the disclosures required by generally accepted accounting principles“. If the omitted disclosures were included in the financial statements, they might influence the user’s conclusions about the company’s financial position, results of operations, and cash flows. Accordingly, these financial statements are not designed for those who are not informed about such matters. Selected information presented. When notes to the financial statements include only a few matters, the presentation of this information should be labeled “Selected Information—Substantially all of the Disclosures Required by Generally Accepted Accounting Principles Are Not Included”. The compilation report should include the additional paragraph stated above. Lack of independence. While an accountant who is not independent with respect to a client’s financial statements may issue a compilation report, he or she must state in the report that, “I am (we are) not independent with respect to Debit Company”. CAUTION: The accountant should not disclose the reasons as to why it is believed that independence is lacking. Departure from generally accepted accounting principles. Although the accountant is under no obligation to search for departures from GAAP, such departures, if uncovered and not corrected, must be disclosed in the accountant’s report. This is accomplished by adding to the standard report a middle explanatory paragraph, which either discloses the effects of the departure or states that the effects of such departure have not been determined. Financial statements are based on a comprehensive basis of accounting other than generally accepted accounting principles. If a client uses a comprehensive basis of accounting other than GAAP, it is necessary to appropriately modify the titles of the financial statements, and disclose the basis of accounting used if the financial statements do not include the necessary disclosure. Supplementary Information. When both the basic financial statements and other data presented for supplementary analysis purposes is compiled, the compilation report should refer to the other data. Alternatively, the accountant may issue a separate report on the supplementary data that states that (1) the other data are presented for supplementary analysis purposes only, (2) the information has been compiled without audit or review from information that is the representation of management, and (3) no opinion of any other assurance on the data is expressed. Financial statements, which are prepared using a comprehensive basis of accounting other than GAAP, do not require presentation of a statement of cash flows. (2) document an understanding with the client in an engagement letter, preferably signed by management, regarding the services to be performed and the limitations on the use of the financial statements. The nature and limitations of the engagement. The definition of a compilation. The financial statements will not be audited or reviewed. No opinion or any other form of assurance on the financial statements will be expressed. Management possesses knowledge of the nature of the procedures performed and the basis of accounting and assumptions utilized in the preparation of the financial statements. Acknowledgment of management’s representation and agreement that the financial statements are not to be used by any third party. The engagement cannot be relied upon to disclose errors, illegal acts, or fraud. Material departures from generally accepted accounting principles (or another comprehensive basis of accounting, if applicable) may exist, and their related financial statement effects may not be disclosed. If applicable, substantially all disclosures (and the statement of cash flows, if applicable) required by generally accepted accounting principles (or another comprehensive basis of accounting) may be omitted. The accountant’s lack of independence, if applicable. Reference to supplementary information, if applicable. An accountant should not accept or perform the engagement if he or she fails to establish an understanding with the client. If the accountant decides not to issue a compilation report on financial statements not expected to be used by third parties, do the financial statements require any special marking? Each page of the financial statements that are not accompanied by a compilation report and that are not expected to be used by third parties should be marked “Restricted for Management’s Use Only”, or “Solely for the information and use by the management of [name of entity] and not intended to be and should not be used by any third party”. If the accountant becomes aware that the “restricted” financial statements have been distributed to third parties, then he or she should discuss the matter with the client and request the return of the financial statements. The client’s failure to comply should cause the accountant to notify known third parties that the financial statements are not intended for their use. I (We) have compiled the accompanying statement of assets and liabilities arising from cash transactions of Credit Incorporated as of (at) December 31, 20XX, and the related statement of revenue collected and expenses paid for the year then ended, in accordance with Statements on Standards for Accounting and Review Services issued by the American Institute of Certified Public Accountants. The financial statements have been prepared on the cash basis of accounting which is a comprehensive basis of accounting other than generally accepted accounting principles. A compilation is limited to presenting in the form of financial statements information that is the representation of management (owners). I (We) have not audited or reviewed the accompanying financial statements and, accordingly, do not express an opinion or any other form of assurance on them. Management has elected to omit substantially all of the informative disclosures ordinarily included in financial statements. If the omitted disclosures were included in the financial statements, they might influence the user’s conclusions about the Company’s assets, liabilities, equity, revenue, and expenses. Accordingly, these statements are not designed for those who are not informed about such matters.